The aim of the three stages of work is the salvation of all mankind—which means the complete salvation of man from the domain of Satan. 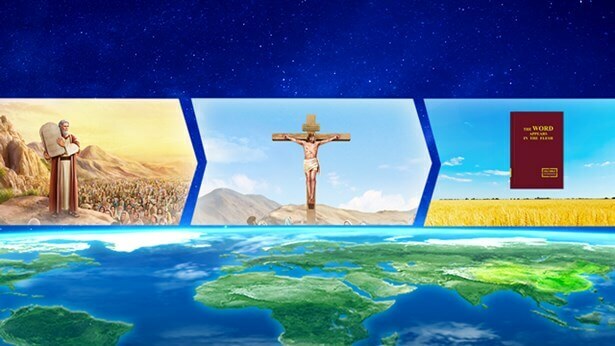 Though each of the three stages of work has a different objective and significance, each is part of the work of saving mankind, and is different work of salvation carried out according to the requirements of mankind. When the three stages of work come to an end, there will be made a group of those who bear testimony to God, a group of those who know God. These people will all know God and will be able to put the truth into practice. 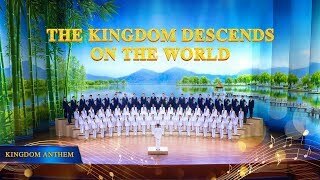 They will possess humanity and sense, and will all know the three stages of God’s work of salvation. This is the work that will be accomplished at the end, and these people are the crystallization of the work of 6,000 years of management, and are the most powerful testimony to the ultimate defeat of Satan. Regardless of what God does or the means by which He does it, regardless of the cost, or His objective, the purpose of His actions does not change. His purpose is to work into man God’s words, God’s requirements, and God’s will for man; in other words, it is to work into man all that God believes to be positive in accordance with His steps, enabling man to understand God’s heart and comprehend God’s substance, and allowing him to obey God’s sovereignty and arrangements, and thus allowing man to attain the fear of God and shunning of evil—all of which is one aspect of God’s purpose in all He does. The other aspect is that, because Satan is the foil and serving object in God’s work, man is often given to Satan; this is the means God uses to allow people to see the wickedness, ugliness, and contemptibility of Satan amid Satan’s temptations and attacks, thus causing people to hate Satan and be able to know and recognize that which is negative. 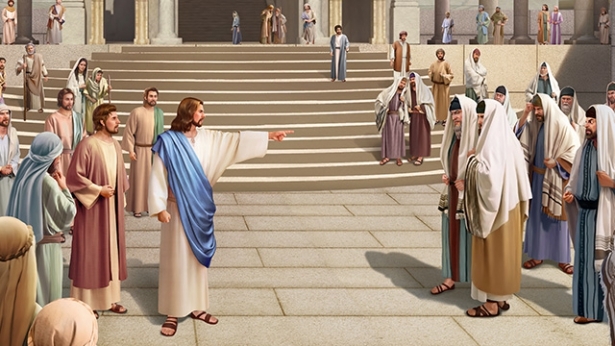 This process allows them to gradually free themselves from Satan’s control, and from Satan’s accusations, interference, and attacks—until, thanks to God’s words, their knowledge and obedience of God, and their faith in God and fear of Him, they triumph over the attacks of Satan, and triumph over the accusations of Satan; only then will they have been completely delivered from the domain of Satan. People’s deliverance means that Satan has been defeated, it means that they are no longer the food in Satan’s mouth—that instead of swallowing them, Satan has relinquished them. This is because such people are upright, because they have faith, obedience, and fear toward God, and because they completely break with Satan. They bring shame upon Satan, they make a coward of Satan, and they utterly defeat Satan. Their conviction in following God, and obedience to and fear of God defeat Satan, and make Satan completely give them up. Only people such as this have truly been gained by God, and it is this which is God’s ultimate objective in saving man. Managing man is My job, and having him be conquered by Me is even more something that was ordained when I created the world. People may not know that I will completely conquer them in the last days and may also be unaware that the evidence of My defeat of Satan is to conquer the rebellious ones among mankind. But, when My enemy joined battle with Me, I had already told it that I would become the conqueror of those that Satan had taken captive and made into its children and its loyal servants watching over its home. … Mankind, trampled under Satan’s feet long ago, has from the first been an actor taking on Satan’s image—even more, Satan’s embodiment, serving as the evidence that bears witness to Satan, loud and clear. How can such a human race, such a bunch of degenerate scum, and such offspring of this corrupt human family bear witness to God? Whence comes forth My glory? Where can one begin to speak of My witness? For the enemy that, having corrupted mankind, stands against Me, has already taken mankind—the mankind that I created long ago and that was filled with My glory and My living out—and soiled them. 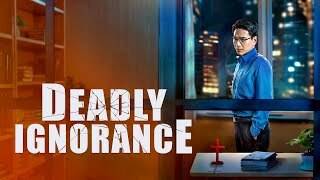 It has snatched away My glory, and all it has imbued man with is poison heavily laced with the ugliness of Satan, and juice from fruit of the tree of the knowledge of good and evil. … I will repossess My glory, repossess My testimony that exists among men, and all that once belonged to Me and that I gave to mankind long ago—I will completely conquer mankind. However, you should know, the humans I created were holy men who bore My image and My glory. They did not belong to Satan, nor were they subject to its trampling, but were purely a manifestation of Mine, free of the slightest trace of Satan’s poison. And so, I let humanity know that I want only that which is created by My hand, the holy ones that I love and that belong to no other entity. Furthermore, I will take pleasure in them and consider them as My glory. However, what I want is not the mankind that has been corrupted by Satan, that belongs to Satan today, and that is no longer My original creation. Because I intend to repossess My glory that exists in the human world, I will gain complete conquest over the remaining survivors among mankind, as proof of My glory in defeating Satan. I take only My testimony as a crystallization of My self, as the object of My enjoyment. This is My will. After carrying out His 6,000 years of work through the present day, God has already revealed many of His acts, primarily to defeat Satan and save all of humanity. 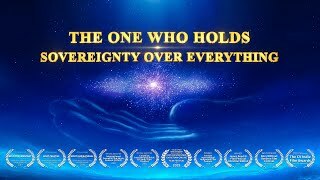 He uses this opportunity to allow everything in heaven, everything upon the earth, everything within the seas as well as every last object of God’s creation on earth to see God’s almightiness and to see all of God’s acts. He seizes the opportunity of defeating Satan to reveal all of His acts to humanity and allow people to be able to praise Him and exalt His wisdom of defeating Satan. Everything on earth, in heaven and within the seas brings Him glory, praises His almightiness, praises all His acts and shouts His holy name. This is proof of His defeat of Satan; it is proof of His conquering of Satan; more importantly, it is proof of His salvation of humanity. The whole of God’s creation brings Him glory, praises Him for defeating His enemy and returning victoriously and praises Him as the great victorious King. His purpose is not merely to defeat Satan, and so His work has continued for 6,000 years. He uses Satan’s defeat to save humanity; He uses Satan’s defeat to reveal all His acts and reveal all of His glory. He will obtain glory, and all the multitude of angels will see all His glory. The messengers in heaven, the humans upon earth and all of creation upon earth will see the glory of the Creator. This is the work that He does. His creation in heaven and on earth will all see His glory, and He will return triumphantly after utterly defeating Satan and let humanity praise Him. He will thus successfully achieve both of these aspects. In the end all of humanity will be conquered by Him, and He will wipe out anyone who resists or rebels, that is to say, wipe out all those who belong to Satan. I have been working on earth for thousands of years, and to this day I am still doing My work in this way. Although there are exceptionally many items included in My work, the purpose of this work remains unchanged; just as, for example, even though I am filled with judgment and chastisement toward man, what I do is still for the sake of saving him, and for the sake of better spreading My gospel and further expanding My work among all the Gentile nations, once man has been made complete. 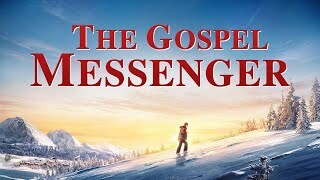 … It is so that in this final era My name will be magnified among the Gentile nations, that My deeds will be seen by the Gentiles and they will call Me the Almighty on account of My deeds, and that My words may soon come to pass. 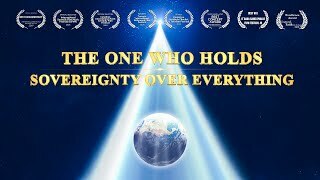 I will make all people know that I am not only the God of the Israelites, but also the God of all the nations of the Gentiles, even those that I have cursed. I will let all people see that I am the God of all creation. This is My greatest work, the purpose of My work plan for the last days, and the only work to be fulfilled in the last days.